ES trim, Starlight Silver exterior and Black interior. CARFAX 1-Owner. FUEL EFFICIENT 43 MPG Hwy/37 MPG City! Bluetooth, CD Player, iPod/MP3 Input, Non-Smoker vehicle. SEE MORE! iPod/MP3 Input, Bluetooth, CD Player Rear Spoiler, MP3 Player, Keyless Entry, Child Safety Locks, Electronic Stability Control. 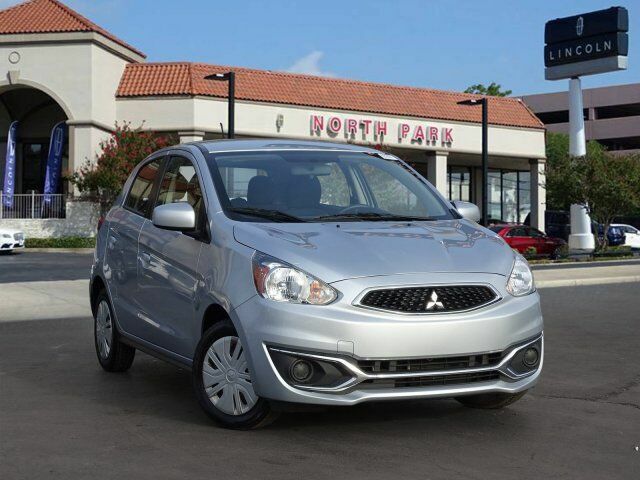 Mitsubishi ES with Starlight Silver exterior and Black interior features a 3 Cylinder Engine with 78 HP at 6000 RPM*. Non-Smoker vehicle. Edmunds.com`s review says With the rear seats in place, the Mirage offers a respectable 17.2 cubic feet of cargo space. With the seats folded down, capacity increases to 47 cubic feet: a good number for this class.. Great Gas Mileage: 43 MPG Hwy.